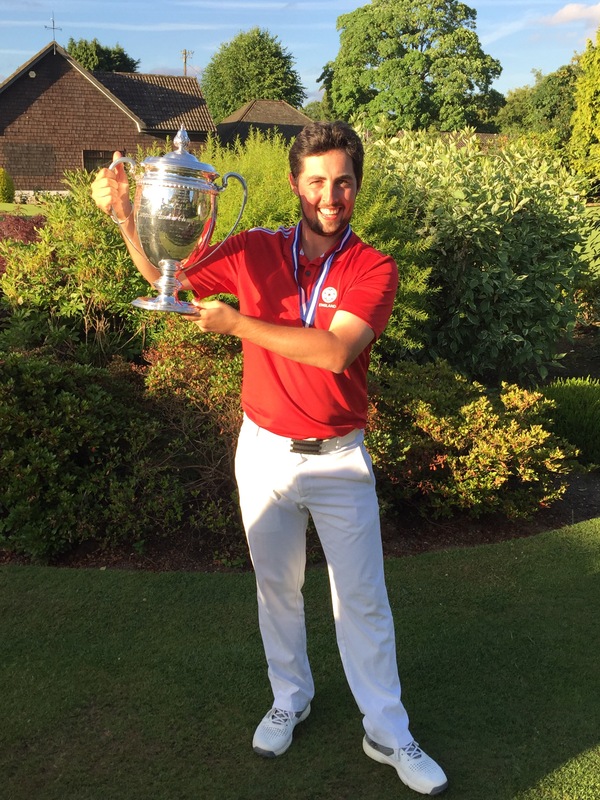 Alfie PLANT (ENG) today won the European Amateur Championship on another beautiful day for golf on the perfectly presented Old Course at Walton Heath. 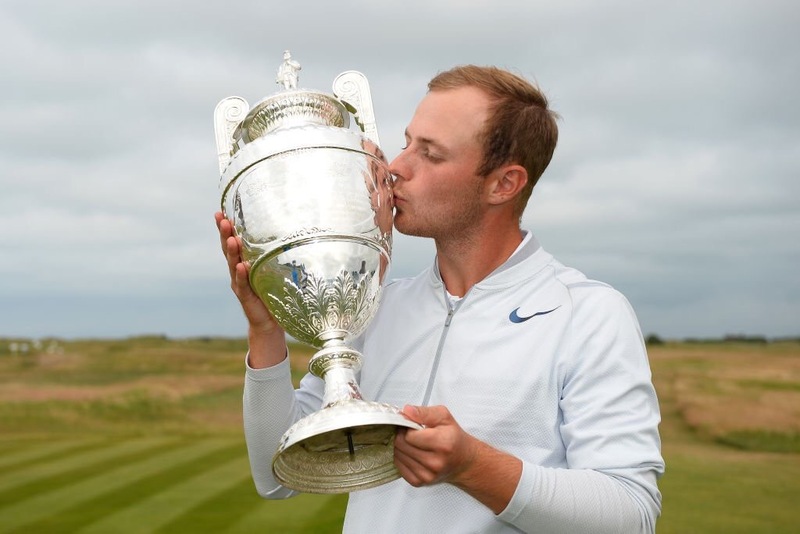 With his win Alfie earned an exemption into this month’s Open Championship at Royal Birkdale and certainly made a very well timed and strong statement with regard to his inclusion in the 2017 Great Britain and Ireland (GB&I) Walker Cup team. 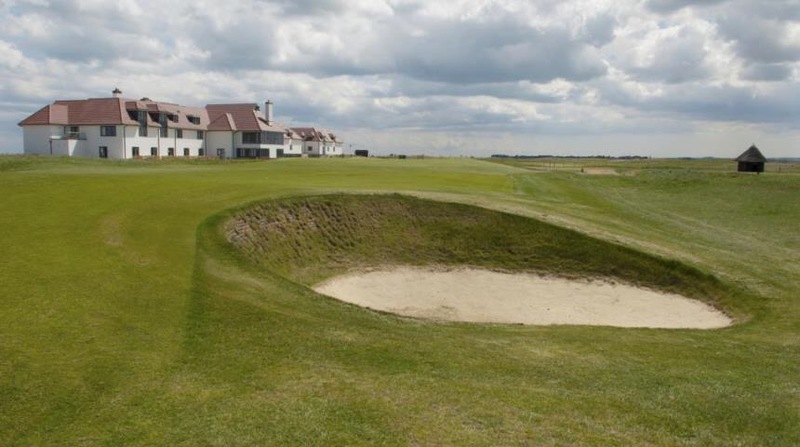 Scheduled the week after the Amateur Championship in nearby Kent the field was the strongest it has ever been, helped by a high number of non-European entries. The SPWAR expects to rank it the 5th strongest event in 2017, after the NCAA Division I Championship, The Amateur and the forthcoming Western Amateur (US) and US Amateur. All in all what a win for Alfie, the biggest of what has been a very good amateur career. “It’s been a rollercoaster of a year. You’ve got to take the highs and the lows and I know I’ve been playing really good golf so it was only a matter of time.” said Plant beside the 2nd green as he reflected on what had largely been a disappointing season to date. “I can also have a few days off now as I don’t have to go up to Hollinwell tomorrow” where he had a 6.45am tee time in Tuesday’s Final Qualifying event for The Open. Luca CIANCHETTI (ITA), Afie PLANT (ENG) and Lorenzo SCALISE (ITA), who had all tied on -15 for the 72 holes of stroke play, qualified for the play-off. Plant, who is probably the best supported amateur golfer in the world, had the strong backing of ‘Alfie’s Army’ who were certainly out in full force for what was a ‘local’ event for them. In a family affair his brother Albert was also caddying for the Kent man. A 3 hole aggregate score play off over holes 1, 2 and 18 was the order of the day. If this proved to be insufficient to separate the players then a sudden death play-off would commence over the same holes. So off we went. Last year’s Championship took 7 play off holes to decide and with three experienced players contesting the 2017 version no one expected this one to be over quickly. On the 235 yard par 3 1st hole Plant and Scalise both found the heart of the green but Cianchetti pulled his tee shot well to the left, short siding himself and finding a poor lie in long grass thirty feet from the green. Cianchetti hacked out well on to the green but was ultimately unable to save his par. Plant misjudged his long first putt allowing it to run well past the hole. Scalise who was last to play, and foreseeing an early advantage, lagged his effort down the hill to comfortably secure his par. In what would prove to be a critical moment Plant bravely stepped up and holed his 10 footer back up the hill to huge cheers from the spectators. On the 472 yard par 4 2nd hole, a sweeping down and up right handed dog leg the players all pared. However, this was the moment you felt Cianchetti’s race may be run. He had played a superb second shot up the hill leaving himself a short four footer for birdie and the opportunity to regain parity with his playing partners. It was an unexpectedly bad miss in the circumstances. On the 404 yard par 4 18th Plant found the green, albeit some distance from the flag, as did Cianchetti who was much closer. Scalise was unfortunate to bounce through the back with his approach. The Tennessee University man was unphased however playing a beautifully judged chip which ended up a matter of inches from the hole. Plant two putted to ensure that at least he and Scalise would progress with their Even par scores. Cianchetti’s birdie putt was hit too firmly and missed the break. He bravely holed for his par putt but at +1 he had to step down. Cianchetti’s consolation being that he had already qualified for the Open Championship at Royal Birkdale via his 2016 win. Last year’s Championship in Estonia was played in August after The Open was staged at Royal Troon. The European Golf Association, in conjunction with The R&A have subsequently brought the Championship forward so in the future the winner can enjoy their Open exemption almost immediately. Meanwhile, Plant and Scalise crossed the road back towards the clubhouse to play the 1st hole again, this time in a sudden death format. Both players found the green. Plant putted first and having learned from his near identical putt half an hour earlier was unlucky to lip out, a tad too much pace preventing the ball from dropping. Scalise had a bit of a rush of blood to the head with his first effort, misjudging the slope as Plant had done earlier, and needed to bravely hole from four feet to allow the fun to continue. Both players found the fairway on the 2nd hole, albeit Scalise pulled his drive, leaving a slightly longer approach than he would have liked. The Italian came up just short of the green. Plant seized the advantage and played his iron into the centre of the green, about 15 feet from the flag. Scalise putted up to 6 feet leaving the stage free for the Englishman. Plant prevented Scalise suffering the ignominy of potentially losing the play-off with a bogey by confidently holing his left to right putt for a winning birdie. The cheers from Alfie’s Army were long and loud and continued all the way back to the clubhouse where the celebrations could properly begin. 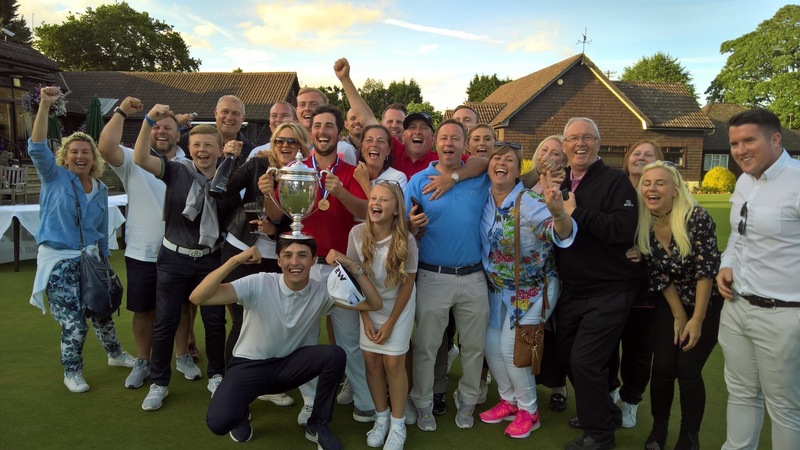 Alfie Plant, the 2016 Lytham Trophy winner, who also holed England’s crucial silver medal winning putt at the World Amateur Championship in Mexico, once again showed nerves of steel. He birdied the 18th to put pressure on the Italian leaders before outlasting them, by simply not missing a shot, in the play-off. After bogeying his first hole of the day our winner Alfie PLANT produced an unblemished card with five birdies to shoot a fine 68. He saved his best hole till last though. Knowing he needed a birdie on the par 4 18th to have any chance of making a play-off he played a magnificent approach to 4 feet and calmly holed the putt. He had just watched his playing partner Lorenzo SCALISE (ITA) bogey the hole, unable to recover from a drive into the left hand fairway bunker which required a sideways chip out. Scalise, who shot 69, had something of a rollercoaster round littered with 6 birdies and an eagle but sadly for him five bogeys. In the final group the defending champion Luca CIANCHETTI (ITA) looked well placed after he eagled the par 5 14th and birdied the 15th to move onto -16. However having watched Scalise bogey in front of him he was unable to secure the par he needed to win the 2017 Championship. His approach to the elevated 18th found a tricky spot on the greenside bank above the left bunker. A slightly clumsy chip left him 10 feet for the title but he missed. A few groups further back Victor PASTOR (ESP) had made a late run for the title. He stood on the 17th tee in Round 4 on -15, -7 for his round, but again fell foul of the 18th. His bogey left him on -14 after a 66 and a tie for 4th place. Robert MACINTYRE (SCO) also shot a final round 66. His bogey free effort lifted him up to -14 where he set the early clubhouse mark before Pastor joined him. Robert must surely have secured his Walker Cup spot now. GB&I’s most in form player Matthew JORDAN (ENG) once again delivered on the big stage. His final round 66, which included a holed mid-iron from the fairway of the 485 yard par 4 4th, finished on -13 and tied 6th. Interestingly he had failed to par the 4th, dropping four shots in the process, during the first three rounds. John-Ross GALBRAITH (IRE) and Jack SINGH BRAR (ENG) also enjoyed strong finishes, tieing for 7th place. Both players shot 8 birdies in their rounds with Galbraith recording a best of the day 65 and Singh Brar a 66. Sandy SCOTT (SCO) 70 and Daniel O’LOUGHLIN (ENG) 68 tied for 10th place on -11. Both of these young lads have big futures. At the end of 54 holes Luca CIANCHETTI (ITA), Jeremy GANDON (FRA) and Lorenzo SCALISE (ITA) share the lead at the European Amateur, tied on -12 (204). Lorenzo SCALISE and Zan Luka STIRN (SLO) both shot best of the day 7-under 65’s on another day of very good scoring at Walton Heath GC. Alfie PLANT (ENG) backed up his 66 of yesterday with a 67 today. On -11 he is well placed to make a push for the title in tomorrow’s final round. Rory FRANSSEN (SCO) 69 -10, Joshua MCMAHON (ENG) 70 -9, Sandy SCOTT (SCO) 67 -9, Daniel BROWN (ENG) 66 -9 and Conor O’ROURKE (IRE) 70 -9 are Great Britain and Ireland’s (GB&I) other leading players. Jack SINGH BRAR, who this week chose to has pass on the European Amateur Team Championships to try and qualify for the US Amateur, shot 66 to move up to tied 21st on -6. Connor SYME (SCO) 67 -6, JR GALBRAITH (IRE) 66 -5, Scott GREGORY (ENG) 66 -5 and Owen EDWARDS (WAL) 67 -4 were the other GB&I players to enjoy their rounds. Sean CROCKER (USA) finally sorted himself out and shot a 66 to move onto -3 (tied 45th), securing himself another round and no doubt an even higher finish. The Top 60 and Ties cut fell at -2 (214) highlighting the standard of play this week. 64 players achieved this mark or better. Notable players to miss the cut included James WALKER ENG, 2015 champion Stefano MAZZOLI ITA, Alex GLEESON IRE, Min Woo LEE AUS, Marco PENGE ENG (all -1), Josh HILLEARD ENG (Ev), Harry HALL ENG (+4), Jack DAVIDSON WAL, Charlie STRICKLAND ENG, Jamie STEWART (all +5) and Craig ROSS SCO (+11 Rd2 WD). Day 2 ended at Walton Heath GC with a three way tie for the European Amateur lead. Victor PASTOR (ESP), Jeremy FREIBURGHAUS (SUI) and Dylan PERRY (AUS) shot 64, 66 and 69 respectively to all move onto -9. The best round of the day, and for that matter the week so far, came from Matthias SCHMID (GER). His 63 (-9) included two eagles and seven birdies. Defending champion Luca CIANCHETTI (ITA) shot a 67 in Round 2 and is nicely placed in tied 6th on -7. Despite this strong start from a number of the overseas entries there is still plenty of hope for the Great Britain and Irish players in the field. England’s boys from the Wirral Matthew JORDAN (-8) and Joshua MCMAHON (-7) lead the way. Jordan shot a second 68 whilst McMahon went one better with a 67. Compatriots Alfie PLANT (-6) moved into contention on -6 after a 66 today whilst Daniel O’LOUGHLIN (-6) held firm after a 71. Scotland’s Liam JOHNSTON (-7), Rory FRANSSEN (-7), Robert MACINTYRE (-6) and Craig HOWIE (-5) as well as Ireland’s Conor O’ROURKE (-7) and Paul MCBRIDE (-5) are also doing well. After tomorrow’s third round there will be Top 60 and Ties cut. Italy’s Lorenzo SCALISE leads the European Amateur after Day 1. The University of Tennessee student shot a bogey free 64 (-8). On a day of generally low scoring 61 players in the field of 144 recorded under par scores in Round 1. Toby BRIGGS (ENG) and Keegan DE LANGE (RSA), both of whom had eagles in their round, are both one shot back on -7. Daniel O’LOUGHLIN (ENG), who played well at The Amateur last week, continued his form at Walton Heath. His 67 (-5) saw him finish the day in tied 6th place with Conor O’ROURKE (IRE) and Rory FRANSSEN (SCO) for company. Daniel BROWN (ENG), Matthew JORDAN (ENG), Robin DAWSON (IRE), Robert MACINTYRE (SCO) and Liam JOHNSTON (SCO) all shot 68’s in Round 1. Their -4 scores leaving them nicely placed in tied 9th with 54 holes still to play. 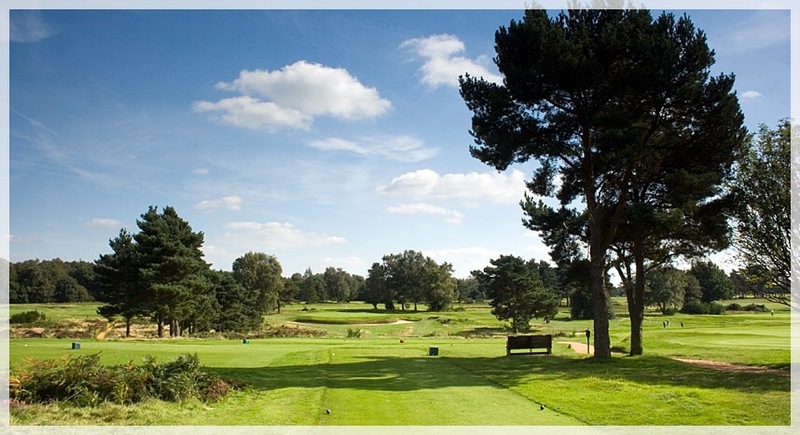 The 30th European Amateur Championship starts on Wednesday 28th June at Walton Heath Golf Club in Surrey, England. This prestigious international Championship is being run by the European Golf Association (EGA), assisted this year by England Golf. The European Amateur is a 72-hole stroke play event. 18-holes are played daily over four days. 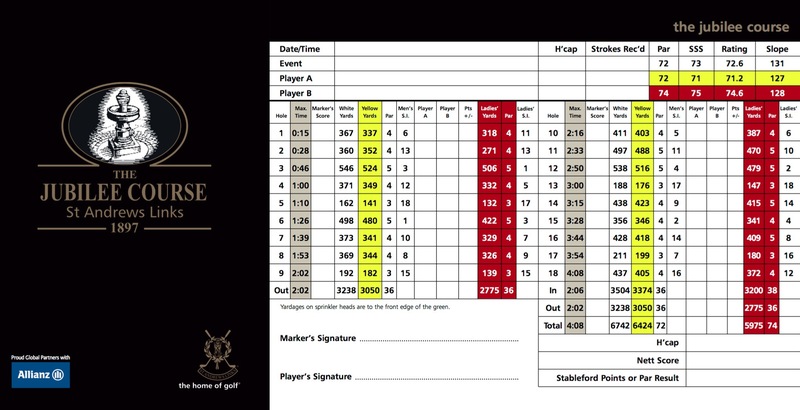 A 54-hole cut will be in force with the 60 lowest scores and ties qualifying for the final round on Saturday 1st July. 144 players will contest the Championship this week. All of the players must have handicaps of 0.0 or better with an entry ballot applied based on the World Amateur Golf Rankings. Exemptions were also available to the defending champion, a single nomination from each EGA member nation, competitors in the most recent Bonallack Trophy, St. Andrew’s Trophy and Jacques Léglise Trophy events as well as four players from England, the host nation. All of the leading European and Great Britain and Irish (GB&I) players will be on show. Luca CIANCHETTI (ITA) will be defending the title he won in Estonia last August and new Amateur Champion Harry ELLIS (ENG) will also be competing. Whilst some of the Australian and South African touring parties have now returned home a number of their top players are entered at Walton Heath, notably Min WOO LEE and Albert VENTER respectively. Amongst the United States entries are highly ranked Sean CROCKER, who made the cut at the BMW International on the European Tour last week, and Jimmy STANGER. Stewart HAGESTAD had entered but withdrew prior to the event commencing. The 2017 Championship is being staged on Walton Heath’s famous Old Course. 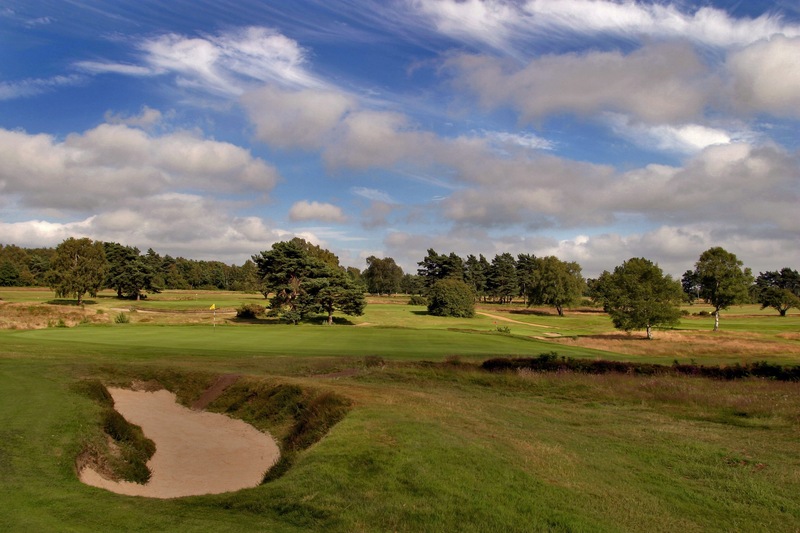 This heathland masterpiece in Surrey, known for it’s superb turf, heather fringed bunkers and large greens, has hosted many major amateur and professional golf events in its illustrious history. 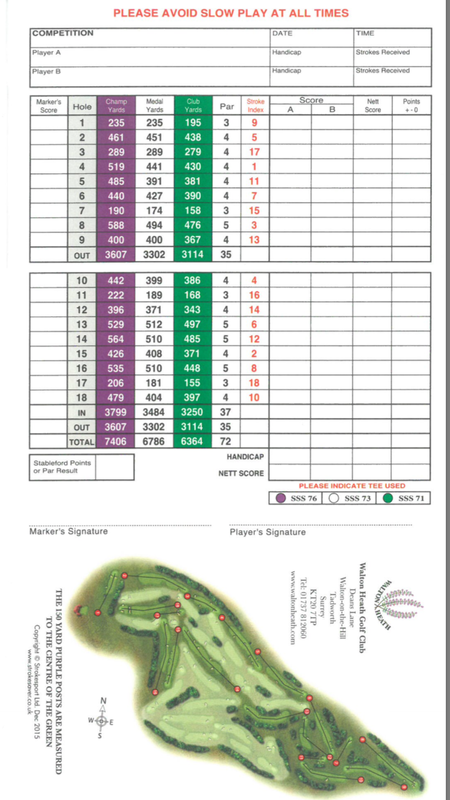 The par 72 championship course stretches to 7,406 yards, as the scorecard below shows, and is noted for it’s strong finishing holes. Weds 28th June – Showers. Wind 9 mph (SW). Max. 22°C / Min 13°C. Thurs 29th June – Showers. Wind 5 mph (NW). Max. 19°C / Min 12°C. Fri 30th June – Showers. Wind 7 mph (NW). Max. 23°C / Min 13°C. Sat 1st July – Cloudy. Wind 12 mph (N). Max. 23°C / Min 14°C. Gold, silver and bronze medals are awarded to the Top 3 finishers. The winner also receives an invitation to compete in this year’s Open Championship at Royal Birkdale in Lancashire, England. The Championship Trophy is held by the winning player’s national golf authority. Luca CIANCHETTI (ITA) beat Viktor HOVLAND (NOR) on the seventh play-off hole to win the 2016 European Amateur Championship. Both players were tied on -16 at the end of the 72 hole stroke play event which was taking place at the Estonia Golf & Country Club. Scotland’s Robert MACINTYRE (SCO) -13 and Connor SYME (SCO) -12 were the best of the GB&I players, finishing 4th and 5th respectively. Gian-Marco PETROZZI (ENG) -9 finished tied 9th. The competition was first contested in 1986. It has been hosted in 18 different countries to date. 2017 will be the seventh time it has been played in GB&I and the second time in England. The previous courses to host the event being Hillside (1991), Dalmahoy (1993), Celtic Manor (1999), Nairn (2003), Carton House (2012) and The Duke’s St. Andrews (2014). Former winners who have gone on to enjoy very successful professional careers include Stephen GALLACHER (1994), Sergio GARCIA (1995), Gregory HAVRET (1999), Carl PETTERSSON (2000), Rory MCILROY (2006) and Victor DUBUISSON (2009). In addition to Gallacher and McIlroy other GB&I past winners include Jim PAYNE (1991), Paddy GRIBBEN (1998), Stephen BROWNE (2001), Brian MCELHINNEY (2003), Matthew RICHARDSON (2004), Rhys PUGH (2012) and Ashley CHESTERS (2013 and 2014). Chesters is the only player to have won the Championship twice. 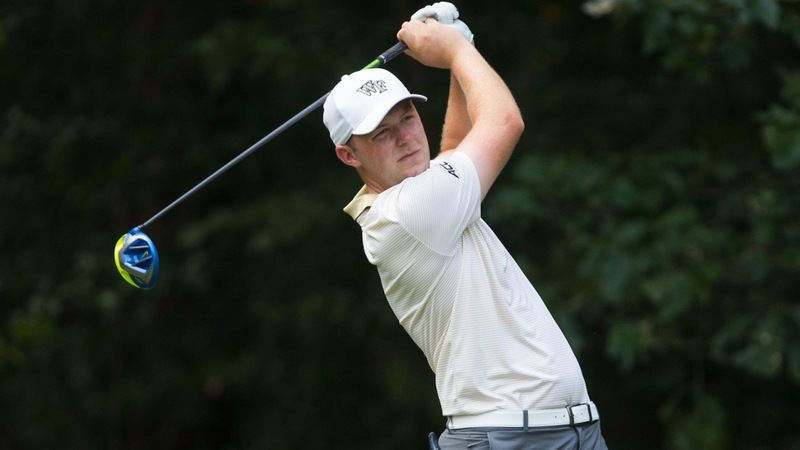 England and Florida State’s Harry ELLIS today won the Amateur Championship on the 38th hole at Royal St. George’s G.C. 4 Down with five holes to play the odds were well and truly against the 21 year old Hampshire man. However, his opponent Dylan Perry (AUS) bogeyed four of the last five holes to let Ellis back in. Harry Ellis will now receive exemptions into the 2017 Open Championship and 2018 U.S. Open Championship as well as an invitation to the 2018 Masters. He has also guaranteed himself a spot in Great Britain & Ireland’s 2017 Walker Cup team. Harry ELLIS (ENG) beat Luca Cianchetti (ITA) 3&2 in their semi-final match. Cianchetti took an early lead after Ellis bogeyed the 4th hole but a par on 6 helped the Englishman regain parity. The Italian retook the lead on the 8th after Ellis’ approach found a greenside bunker but a birdie on 9 and a good par save on 10 from the 2012 English Amateur champion, which he won when he was just 16, meant the players were level with 8 holes to play. The next two holes were to prove pivotal. Cianchetti bogeyed the long par 3 11th before Ellis birdied the par 4 12th to move ahead. Ellis defended this 2Up lead well before winning the 16th, with a nerveless up and down from the right hand bunker, and securing a 3&2 win. In the first semi-final Dylan Perry (AUS) got into a 3 Up lead early on against Alejandro Tosti (ARG) and like Ellis held on to see out a 3&2 victory. Dylan is the first Australian to play in the Final since Bryden Macpherson became champion in 2011 at Hillside G.C. In a close match this morning Harry ELLIS (ENG) beat Paul MCBRIDE (IRE) by 2 holes to set up a semi-final with Italy’s Luca Cianchetti. Alejandro Tosti (ARG) will play Dylan Perry (AUS) in the first semi-final. ME [with some additional reporting by Andrew Griffin]. Play on Day 4 of the 122nd Amateur Championship at Royal St. George’s finished later than expected due to a two hour thunder and lightening weather delay around lunchtime. We started the day with 14 Great Britain & Ireland (GB&I) players. Read my reports below on Rounds 3 and 4 to see how we ended up with just two left standing. Charlie STRICKLAND (ENG) was the first of our six remaining players to lose. Alejandro Tosti (ARG), clearly not the worst for wear after his Round 3 exertions, set up a Quarter Final match with Stefano Mazzoli (ITA) with a 4&3 win. Ryan LUMSDEN (SCO) was next to go succumbing to Norway’s Jarle Kaldestad Volden by 2 holes. In the England-Ireland match Paul MCBRIDE beat Jack SINGH BRAR by 1 hole. McBride who lost to Robert MacIntyre on the 20th hole of an epic semi final match last year at Royal Porthcawl is round by round playing himself into the 2017 GB&I Walker Cup team. Like McBride Harry ELLIS (ENG) isn’t doing himself any Walker Cup harm at Royal St. George’s either. This evening he beat fellow European Arnold Palmer Cup team member Kristoffer Ventura (NOR) 3&1. Is it possible that tomorrow’s Quarter Final match between Paul McBride and Harry Ellis may end up being a Walker Cup eliminator ? Scotland’s last man Robert MACINTYRE was 1Up with 2 to play before the GB&I nemesis Fredrik Niléhn (SWE) disappointingly won the last two holes with birdies to prevail by 1 hole. Prior to the weather delay four matches were completed. 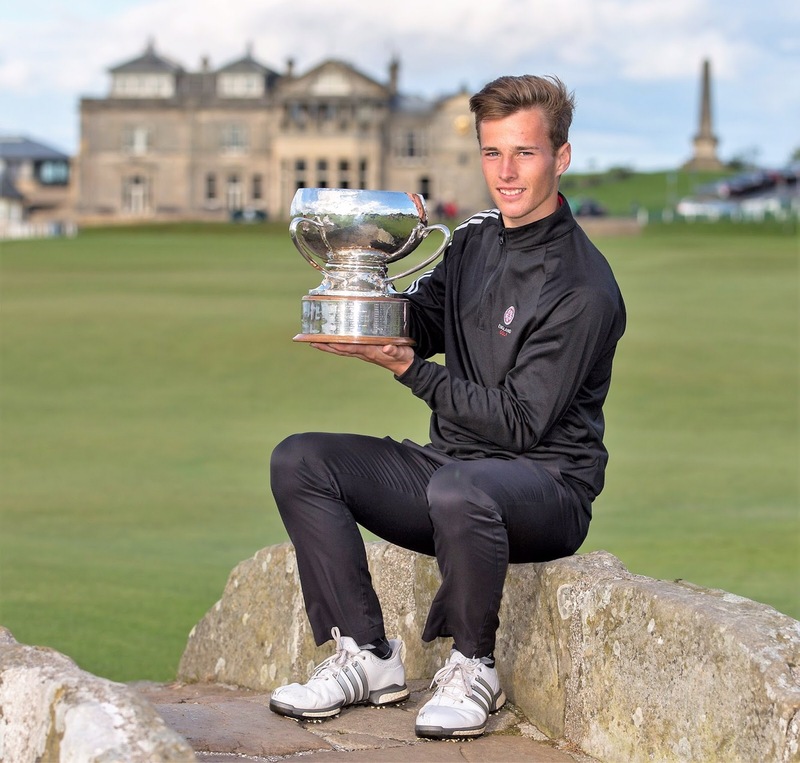 In the first of those Jordan SUNDBORG was comprehensively beaten 6&5 by Stefano Mazzoli (ITA), the 2015 European Amateur champion, who has just finished his sophomore year at Texas Christian University in the United States (U.S.), appears to be enjoying his time on the Kent links. It was better news for Jordan’s compatriot Charlie STRICKLAND (ENG). He fought back from 2 down with 3 to play to record a memorable 1 hole win against Min Woo Lee (AUS), the reigning US Junior Amateur champion. Perhaps reinvigorated by their extended lunch break Caolan RAFFERTY (IRE) and Alejandro Tosti (ARG) seemed as if they wanted to play 36 holes in their match. Game 1 ended up being one of the last to finish, Tosti finally winning on the 25th hole. Given the 7th is right on the coastline, nearly as far from the clubhouse it is is possible to be, I hope they had buggies on hand to return them home. Daniel O’LOUGHLIN (ENG) put up a good fight before being edged out by Australia’s Zach Murray on the final hole. The Nottinghamshire man, who has just completed his freshman season at McNeese State in U.S., continues to show improvement. Ryan LUMSDEN (SCO) beat Stuart GREHAN (IRE) by 1 hole in one of the more interesting Round 3 encounters. The London-based Lumsden is on a scholarship at Northwestern University and this win will further enhance his growing reputation in our amateur game. Jack SINGH BRAR (ENG) and Paul MCBRIDE (IRE) both moved in to the next round to set up a game against each other. Singh Brar overcame U.S.-based Perry Cohen (SUI) by 1 hole whilst McBride had a notable 2 holes win against highly ranked Floridian Jimmy Stanger, a member of the U.S. Walker Cup squad. Another American Joshua Seiple, albeit one not in the same league as Stanger, found himself on the end of a 6&5 defeat by Harry ELLIS (ENG). Ellis was, in my opinion, on the periphery of the GB&I Walker Cup team prior to The Amateur starting so this run of match play form is certainly well timed and most encouraging for him. The three Englishman Tom SLOMAN, George BAYLIS and David LANGLEY all fell in Round 3. All of them can be pleased with their efforts. Sloman lost to Finland’s Matias Honkala and Baylis to Robert MACINTYRE (SCO), both narrowly by 1 hole. Langley lost 4&3 to Sweden’s Fredrik Niléhn who is frankly starting to annoy me – Langley being the third straight GB&I player he has defeated after Conor Purcell and David Boote. Craig HOWIE (SCO) was unfortunate not to join Messrs. Lumsden and MacIntyre in Round 4. He lost to Norway’s Kristoffer Ventura on the 20th hole after a tight match. So at the end of a stop-start Round 3 there were just 6 GB&I golfers who advanced to Round 4. 77 players started the day in with a chance of winning The Amateur Championship. That number quickly became 32 as the Match Play stage progressed. Here’s the story of Rounds 1 and 2, with the normal Great Britain & Ireland (GB&I) bias you would expect. The 7 GB&I players who negotiated Round 1 (see below) were joined later in the day by 20 more from the home nations, all of whom were amongst the stronger stroke play qualifiers. Medalist Caolan RAFFERTY (IRE) showed no hangover from his heroics at Prince’s yesterday. He made quick work of David Ravetto (FRA), winning 5&3 before lunchtime. England had the beating of Scotland in four ‘auld enemy’ matches this afternoon. In one of the day’s more interesting games Charlie STRICKLAND beat Sandy SCOTT 2&1. Shortly afterwards Jordan SUNDBORG got the better of Euan WALKER 3&2. Daniel O’LOUGHLIN held on to record a 1 hole victory over Craig ROSS before Chris MACLEAN then lost by 1 hole to Somerset’s TOM SLOMAN. 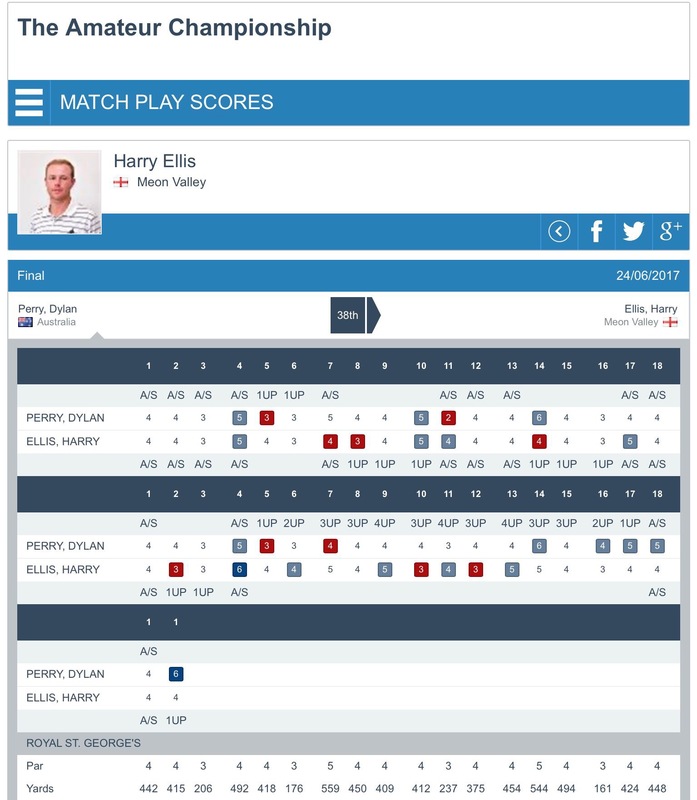 Later in the day there were further English wins for Harry ELLIS (2&1 over Tim Harry’s conqueror Kim Koivu), George BAYLIS (who easily beat Iceland’s Gisli Sveinbergsson 5&4) and David LANGLEY who backed up his great morning win with an easier 5&3 victory over Alberto Castagnara (ITA). It proved to be a bad afternoon for Wales with all of their four remaining players losing out. Evan GRIFFITH (4&2 to Hayden Springer USA), Ben CHAMBERLAIN (2&1 to Hurly Long GER), Llewellyn MATTHEWS (3&1 to Luca Cianchetti ITA) and David BOOTE (3&2 to Fredrik Niléhn). After their early losses Ryan LUMSDEN gave Scotland something to cheer about. He produced one of the best performances of Round 2 despatching Ireland’s Robin DAWSON 5&3. Stuart GREHAN and Paul MCBRIDE quickly turned the tide for Ireland. Stuart beat Peter Melching (NED) 4&2 whilst Paul recorded his second win of the day, this time against Sweden’s Oliver Gilberg (4&2). However, another Irishman Sean FLANAGAN was unable to prevent the in form Jack SINGH BRAR from progressing, the Englishman winning 2&1. Later on Scottish amateur stars Craig HOWIE and Robert MACINTYRE moved through to Round 3 relatively unscathed. Craig beat Zan Luka Stirn (SLO) 4&2 whilst Robert sent the Scottish born Ben Ferguson (AUS) packing with a 3&2 result. Other GB&I second round losers included Gian-Marco PETROZZI (ENG), who lost to Florida University’s Alejandro Tosti (ARG), Conor O’ROURKE (IRE) who had the misfortune to be paired with US Junior Amateur champion Min Woo Lee (AUS) and Matthew JORDAN (ENG) whose run of great results finally came to an end on the Kent coast. Other remaining International players not mentioned above to keep an eye on tomorrow include Harrison Endycott (AUS), Stefano Mazzoli (ITA), Zach Murray (AUS), Dylan Perry (AUS), Jimmy Stanger (USA) and Kristoffer Ventura (NOR). 2017 Brabazon Trophy winner Kyle McClatchie (RSA) can consider himself a little unlucky to go out in Round 2. He lost on the 3rd extra hole of his match with Casper Simberg, the Finnish player holing in one on the 239 yard par 3. We now have 14 GB&I players left standing. Good luck to them all in Round 3. 26 players, including 13 from GB&I, were called upon to contest the Preliminary Round 1. 24 of these qualified on -1, with the remaining two having finished on -2 after the 36 holes of stroke play (the latter two were included after a count back was applied). Paul MCBRIDE (IRE) was out first at 7.00am and he delivered a strong win, taking out much fancied Australian David Micheluzzi by 1 hole. Matthew JORDAN (ENG) in game 4 had to fight hard for his 20th hole win over Mateusz Gradecki from Poland. Llewellyn MATTHEWS (WAL) beat Franck Medale (FRA), one of the two -2 qualifiers, by 1 hole. In the two all-England games Tom SLOMAN beat Will WHITEOAK by 2 holes and George BAYLIS comfortably beat Josh HILLEARD 5&4. 2016 finalist Robert MACINTYRE (SCO) took out the other -2 qualifier Zheng Kai Bai (CHI) 3&1. In the final game David LANGLEY (ENG) took the Round 1 plaudits with his 1 hole victory over GB&I No. 1 Connor SYME (SCO). Other GB&I first round losers included Tim HARRY (WAL), who having led for much of his match fell on the 19th to Kim Koivu (FIN), JR GALBRAITH (IRE), who succumbed 3&2 to another Fin, Casper Simberg, and Conor PURCELL (IRE) who was beaten 3&1 by Fredrik Niléhn (SWE). The big story on Day 2 of The Amateur Championship was Caolan RAFFERTY‘s (IRE) amazing round at Prince’s Golf Club. His new course record 62 (-10), with a bogey on the 448 yard par 4 18th, lifted him 82 places and helped him achieve medalist honours in some style. 77 players qualified for the Match Play Stage with the Top 64 and Ties cut falling at 141 or 1 under par. Welsh pair Ben CHAMBERLAIN and Evan GRIFFITH showed earlier in the day that Prince’s was again going to be very scorable. Ben’s 65 (-7) and Evan’s 66 (-6) helped them to tied 23rd (-3) and tied 4th (-7) finishes respectively in the Stroke Play Qualifying Stage. David BOOTE (-3), Llewellyn MATTHEWS (-1) and Tim HARRY (-1) made it five Welsh qualifiers in total. Boote had left himself some work to do after a 71 at Prince’s yesterday but will be pleased with his 68 (-2) at Royal St. George’s today. In addition to Rafferty Ireland will be represented by Robin DAWSON (-5), Stuart GREHAN (-2), Conor O’ROURKE (-2), Sean FLANAGAN (-2), Conor PURCELL (-1), JR GALBRAITH (-1) and Paul MCBRIDE (-1) in the Match Play draw. Harry ELLIS (ENG) -8 and Harrison ENDYCOTT (AUS) -7 both secured their match play qualification on Day 2 with best of the week 65’s (-5) at Royal St. George’s. Ellis finished 3rd and Endycott tied 4th with Evan Griffith. Chris MACLEAN (SCO), who was medalist at the Spanish International Amateur, once again demonstrated his qualifying prowess with a second 68, this time at Royal St. George’s. His -6 total secured a tied 6th finish. Fellow Scots Craig HOWIE (-5), Sandy SCOTT (-5), Craig ROSS (-3), Euan WALKER (-3), Ryan LUMSDEN (-2), Robert MACINTYRE (-1) and Connor SYME (-1) all joined him. English pair Matthew JORDAN and Josh HILLEARD both dug deep to make the cut. Matthew started the day on +4 but delivered a 67 at Prince’s to finish on the -1 mark. Josh shot a par 70, never to be sniffed at particularly under some pressure, at Royal St. George’s. In addition to Harry Ellis, Josh Hilleard and Matthew Jordan, Jack SINGH BRAR (-4), Daniel O’LOUGHLIN (-3), Jordan SUNDBORG (-2, who like Jordan shot 67 at Prince’s to bounce back well), Charlie STRICKLAND (-2), Gian-Marco PETROZZI (-2), Tom SLOMAN (-1), George BAYLIS (-1), David LANGLEY (-1) and Will WHITEOAK (-1) all live to fight another day. Notable players, mainly in the context of the Walker Cup, to miss the cut included Bradley MOORE (ENG) Ev, Alfie PLANT (ENG) Ev, Jamie STEWART (SCO) Ev, Jack DAVIDSON (WAL) +1, Jake BURNAGE (ENG) +2, Colm CAMPBELL (IRE) +3), Dan BROWN (ENG) +5, Peter O’KEEFFE (IRE) +5, Liam JOHNSTON (SCO) +6, James WALKER (ENG) +6, Marco PENGE (ENG) +7, Alex GLEESON (IRE) +7, Harry HALL (ENG) +8, Owen EDWARDS (WAL) +12 and Barry HUME (SCO) +12. The Amateur Championship started at 7.00am today with 288 players embarking on this marathon event. The leading 64 players and ties after 36 holes of stroke play, 18 on each of the adjacent host courses in Kent, will progress to the match play stage. In near perfect playing conditions it quickly became clear that scoring was generally going to be very good. This was particularly true at the shorter and less demanding Prince’s. 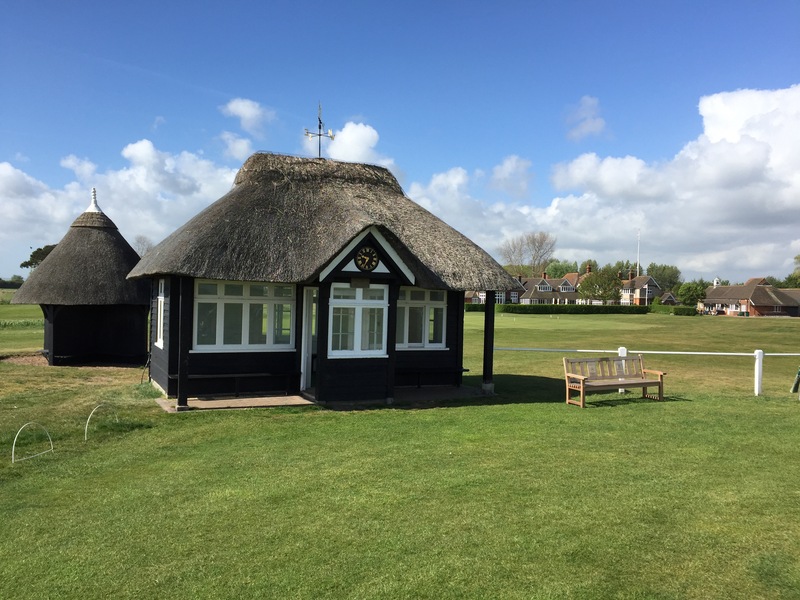 The only caveat to this being the late starters who faced stronger winds in the evening and as such some of their scores drifted upwards. Gils SVEINBERGSSON (ISL) led the field with a superb bogey free 64 (-8), a new course record at Prince’s. There were plenty of players queuing up behind him too. From GB&I Tim HARRY (WAL) 66 (-6), Joshua MCMAHON (ENG), George BAYLIS (ENG), Jack SINGH BRAR (ENG) all 67 (-5), Tom GANDY (ENG), Chris MACLEAN (SCO), Sam BROADHURST (ENG), Robin DAWSON (IRE), Matt MYERS (ENG), Craig HOWIE (SCO) and Jeff WRIGHT (SCO) all 68 (-4) have also made good starts. Next door at Royal St. George’s (RSG) scoring was understandably tougher. Zach MURRAY (AUS) shot 7 birdies in his 66 (-4) to lead the way on this course. Craig ROSS (SCO) 67 (-3) was the second best at RSG with Gian-Marco PETROZZI (ENG) 68 (-2), Evan GRIFFITH (WAL), Sandy SCOTT (SCO) and Paul MCBRIDE (IRE) all 69 (-1) not too far behind. For what it’s worth the current Top 64 and Ties cut line sits at -1, with 82 players currently ‘qualifying’. To highlight the difference in the scoring just 17 of these played at RSG today. The 122nd Amateur Championship starts on Monday 19th June at Royal St. George’s GC and Prince’s GC in Kent. 288 players will play two stroke play qualifying rounds, one round on each course, on Monday 19th and Tuesday 20th June. Tee times will start at 7.00 am and end at 3.52 pm on both days. The 64 players with the lowest 36 hole scores, and ties for 64th place, will be seeded in line with their finishes and will advance to the match play stage. This second stage will be played solely at Royal St. George’s between Wednesday 21st and Saturday 24th June. Matches will be played over 18 holes except for the Final which will be over 36 holes. Players from 40 countries will contest the 2017 Amateur. 20 of the 21 players in the GB&I Walker Cup squad are competing as are many of the other hopefuls. Scott GREGORY (ENG / SPWAR #78), the defending champion, is unfortunately the missing player. He has been playing in the US Open Championship at Erin Hills this week so is unavailable. Connor SYME (SCO / SPWAR #15), David BOOTE (WAL / SPWAR #17), Liam JOHNSTON (SCO / SPWAR #21), Matthew JORDAN (ENG / SPWAR #26), Jack SINGH BRAR (ENG / SPWAR #30), Craig HOWIE (SCO / SPWAR #32), Robert MACINTYRE (SCO / SPWAR #47), Robin DAWSON (IRE / SPWAR #52), Jack DAVIDSON (WAL / SPWAR #53), JR GALBRAITH (IRE / SPWAR #70 and Paul MCBRIDE (IRE / SPWAR #74) are the leading GB&I players competing. Our Walker Cup captain Craig WATSON (SCO) is also in the field, exempt as a past champion. He of course won The Amateur Championship at Royal St. George’s in 1997. Kyle MCCLATCHIE (RSA / SPWAR #2), Jimmy STANGER (SPWAR #27), Alejandro TOSTI (ARG / SPWAR #28), Min Woo LEE (AUS / SPWAR #29), Harrison ENDYCOTT (AUS / SPWAR #31), Dylan WU (USA / SPWAR 33), Garrick HIGGO (RSA / SPWAR #34), Viktor HOVLAND (NOR / SPWAR #35), Kristoffer VENTURA (NOR / SPWAR #43) and Travis SMYTH (AUS / SPWAR #48) are the highest ranked international players on show. Whilst there are some Americans playing, notably USA Walker Cup squad member Jimmy Stanger, it sadly remains the case that the vast majority of their leading players continue to skip the Championship. Without their participation The Amateur will always lack a little something despite the ‘prizes’ on offer. The Championship is being staged at Royal St. George’s and Prince’s in Sandwich, Kent. This will be the 14th time Royal St. George’s has been the lead course at The Amateur Championship. Only Royal Liverpool (18) and St. Andrews (16) has hosted it more often. Founded in 1887 it has recently been invited to host The Open Championship for the 15th time in 2020. It has also previously staged The Walker Cup (1930 and 1967) and The Curtis Cup (1988). Royal St. George’s plays to 7,204 yards from the championship tees and has a par of 70. Neighbouring Prince’s was established in 1906 and hosted The Open for the first and last time in 1932, That Championship was famously won by Gene Sarazen. It also hosted The Curtis Cup in 1956. It plays to 6,880 yards over the Shore and Dunes nines and a par of 72. Mon 19th June – Sunny. Wind 7mph NE. Temp. Max. 24°C / Min 15°C. Tue 20th June – Light Cloud. Wind 10mph NE. Temp. Max. 21°C / Min 15°C. Wed 21st June – Sunny. Wind 14mph NE. Temp. Max. 18°C / Min 15°C. Thu 22nd June – Light Cloud. Wind 9mph SE. Temp. Max. 25°C / Min 16°C. Fri 23rd June – Sunny. Wind 12mph SW. Temp. Max. 23°C / Min 16°C. Sat 24th June – Sunny. Wind 13mph NE. Temp. Max. 21°C / Min 14°C. Just like at The Open players will tee off between 7.00am and 3.52pm on Monday and Tuesday so the weather and wind may very well play a part in the stroke play qualifying scoring. The winner of The Amateur Championship will be exempt into next month’s 146th Open Championship at Royal Birkdale. They will also be exempt into the 2018 US Open Championship which is being held at Shinnecock Hills in Southampton, New York State. It is also an unofficial rule that should The Amateur be won by a GB&I player in the year of a Walker Cup match then that player will be selected for the team. Scott GREGORY (ENG) beat Robert MACINTYRE (SCO) 2&1 in the 36-hole final of the 2016 Amateur Championship at Royal Porthcawl GC. Gregory shot 72 at Royal Porthcawl and 71 at Pyle & Kenfig in the stroke play stage to qualify 13th (+1). He then proceeded to beat Andre NEL (RSA) by 2 holes, Pierre MAZIER (FRA) by 1 hole, Harry HALL (ENG) 4&3, Javier SAINZ (ESP) 5&4 and Adrian MERONK (POL) to reach the Final.